Dragons LOVE shiny things, so when Lorenzo (the dragon) saw this gleaming goblet, he seized it. His joy is obvious! He's wrapped his wings and tail around it, clutching it with his feet. 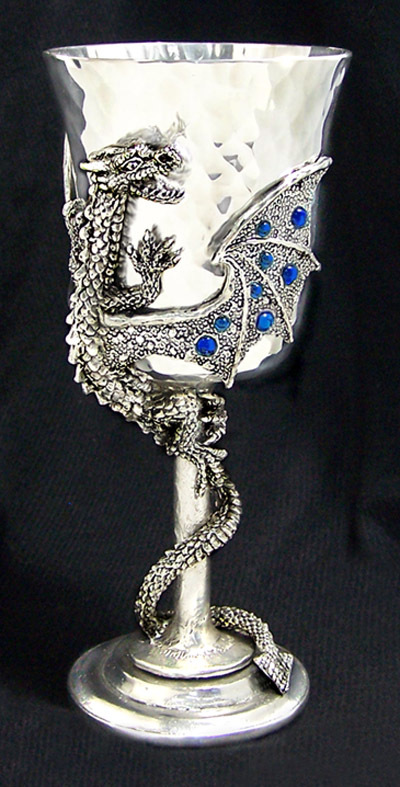 We make it by hand from lead-free pewter, with crystals shining from the wings. It will hold 10 oz. if filled to the brim.